Our third cottage we call Trolles not because there was trolls living in it but since it was used a long time ago as a gardeners residence for a man named Trolle. 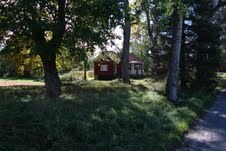 This cottage is located in the middle of the farm. 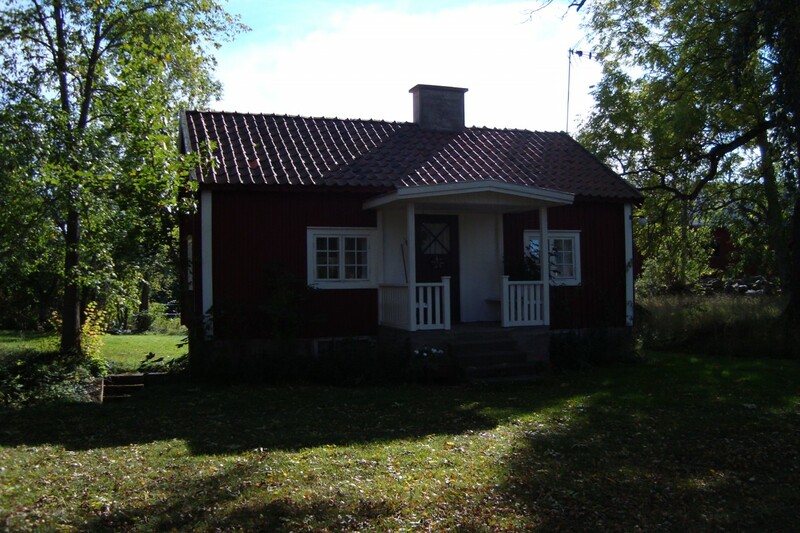 Trolles has a traditional cottagelook for this area of Sweden, Småland, red with white corners. 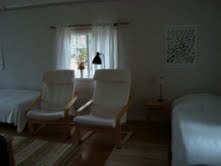 In the cottage there is a hallway, a large kitchen and a bedroom with a total capacity of four beds. 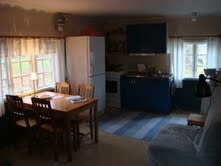 The cottage is equipped with stove, microwave and refridgerator. TV with three swedish channels and the bathroom with shower and toweldryer. To every cottage there are outdoor furniture with a grill. Booking a week in the summer with us also includes access to a boat and a deck by the lake and the right to fish in our part of the lake. By the water there is a small beach and between the cottages a field for games. As a guest at our farm you are also welcome to enjoy hiking or picking mushrooms and berries.